The big problem for those picking up the pieces of their businesses and starting to plan ahead is determining whether milk prices are going up, down or remaining stable, and for how long. Who knows, as with the present multitude of diverse signals virtually anything is possible, as the once predictable domestic market is no longer paramount as it succumbs to the wider forces of market interplay. Some for the first time for the past year may be seeing light at the end of the seemingly never ending tunnel, drawing breath, and mentally adjusting to the relief that at last there is a margin, however small, but a margin nevertheless. This is critical to both short-term and long-term thinking, as any present reassurance has to be set against future prospects, and on top of all of this, personal and family aspirations. Which brings us on to the somewhat chilling warning this week from Kite Consulting that industry borrowing has shot through the roof and borrowers should start to pay some of this off as soon as bottom lines begin showing any sign of health. But it goes further than that to warn that producers should be fearful of taking on more debt to survive the next downturn, if and when it comes along, and only those with a predetermined return on investment which will lower cost of production should contemplate repeating this degree of borrowing next time round. 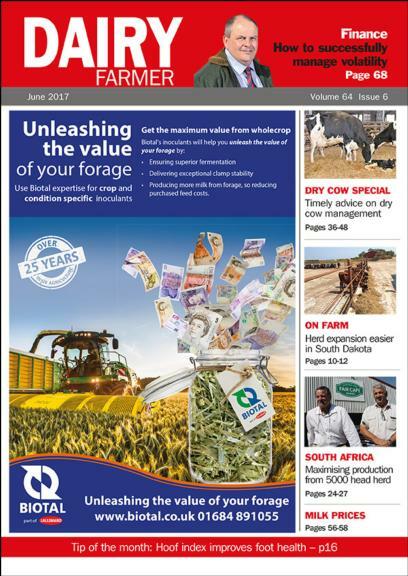 Former banker Pat Tomlinson tells us on p68 that dairy producers need to take a leaf out of the pigmen’s book and, where possible, adopt their approach to weather the tough times. While there is no sign of any nervousness among the banks so far, his fear is that in unpredictable times, the light at the end of the next tunnel may not be an approaching train, but a bank manager with a torch!